Most people consult their financial advisors for investing tips and strategies. Now you might find the top advisors at your local school. 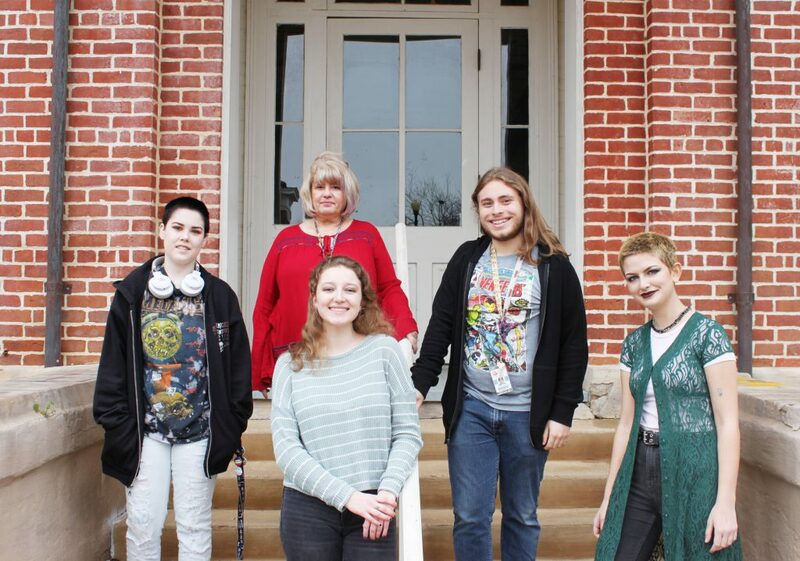 Students from the Mississippi School for the Arts, coached by Vickie Malone, were named Region Five first place winners in the fall high school division of the Mississippi Stock Market Game (SMG). The simulation is one of the most effective learning tools available about the free enterprise system for students in grades four through 12. The program enables teams of students to invest a hypothetical $100,000 in the stock market over a 13-week period. Winners are determined on the percentage return above or below S&P 500 growth. The Mississippi School for the Arts first place team outperformed the S&P by 3.4% with a portfolio of $94,135. MCEE will award prizes to each first and second place team in each region from each division to be presented at the school’s local awards ceremony in the spring. Pictured from left to right: Taylor Downs, Mrs. Vickie Malone (advisor), Charlotte Drane, Jackson Palmer, and Jessica McDonald. The curriculum used in the SMG is correlated with Mississippi College and Career Ready Standards, and meets the criteria of a STEM program. Teachers report that math scores increase when the SMG is used in the classroom. The SMG is an online education program used in thousands of classrooms nationwide to help teach math, social studies, business, economics and language skills. Students in grades four through twelve participate in teams and manage a simulated investment portfolio during the school year. The SMG is made possible by the support of more than 600 securities firms, combined with grass-roots support in schools and communities. It is the only stock market simulation supported by the New York Stock Exchange and the Nasdaq Stock Market. Sponsors for the 2018-2019 SMG program are, BancorpSouth, Entergy, Ingalls Ship Building, MGM Resorts Foundation, Regions Bank, and Trustmark National Bank.